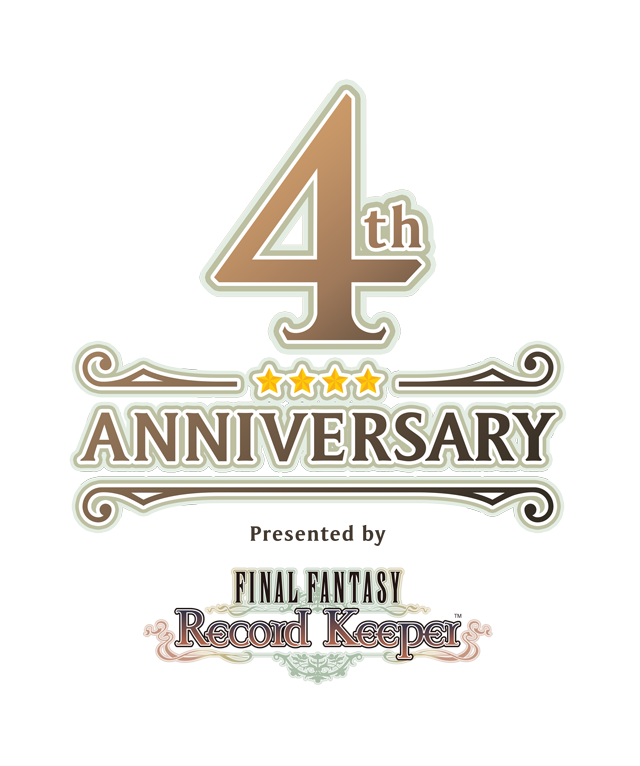 FINAL FANTASY Record Keeper's 4th Anniversary Event now underway! The free, one-time-only Relic Draw x40, and relic draw celebration with Awakenings now live! 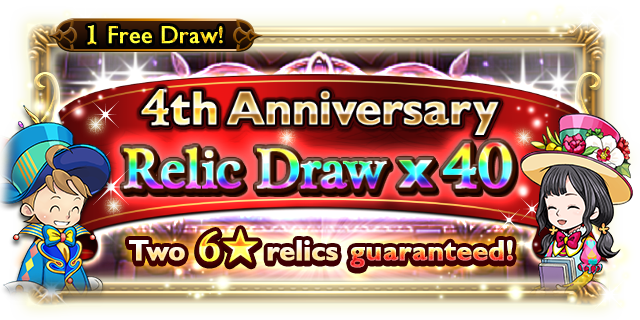 The free, one-time-only 4th Anniversary Relic Draw x40 is now live. Two 6★ relics are guaranteed, so don't miss this chance! Strengthen your party and get great rewards in this limited-time event! Take on a series of familiar formidable foes! In the deepest chamber, you'll face a jester who has enough power to destroy the world, in a form never before seen in Record Keeper! Earn 5★ Motes and other incredible rewards from the dungeons within. On March 28, a dungeon with a reward of 30 Mythril will be added! There's also a game that recreates the jump rope minigame from FF IX, along with dungeons that give tons of Orbs and EXP, and so much more! This celebration comes in 5 phases, and features powerful Awakenings! Chain Soul Breaks and Ultra Soul Breaks will also be available! The 5★ spellblade ability Freezing Quadstrike will be given out, plus 4★ Motes and other great items, so don't forget to collect them! This login bonus is your chance to get the 6★ accessory 'The Greatest Heroes', as well as 5★ Dark Matter, and more amazing items! ■ 4th Anniversary Special Website Live! View the history of FFRK's events and features, along with various rankings in the Record Chronology. There's also a calendar with Mythril and relic draw info!